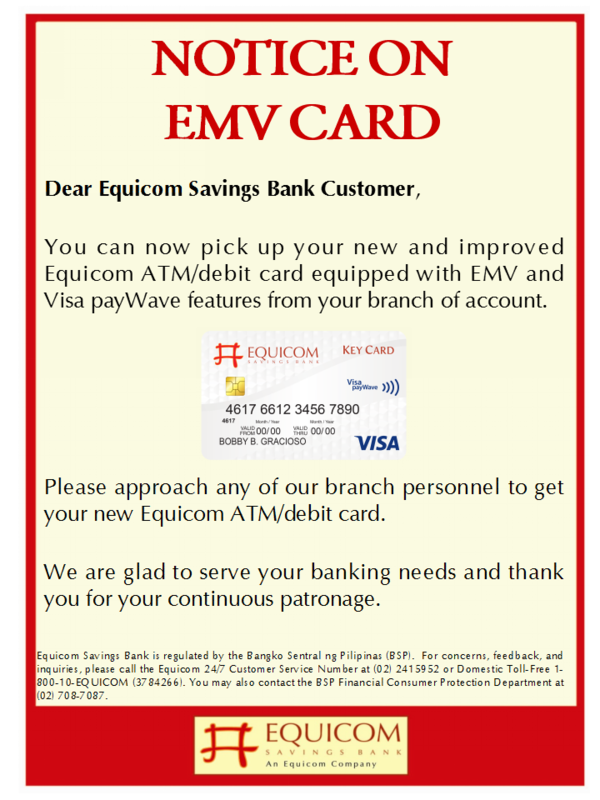 Sixteen branches, with a seventeenth on the way, and an appealing slate of deposit and and financing options for consumers and SMEs are the main achievements celebrated by Equicom Savings Bank (EqB), a thrift bank headed by former Equitable PCIBank chairman Antonio Go, as it celebrates its first anniversary this Saturday, September 26. 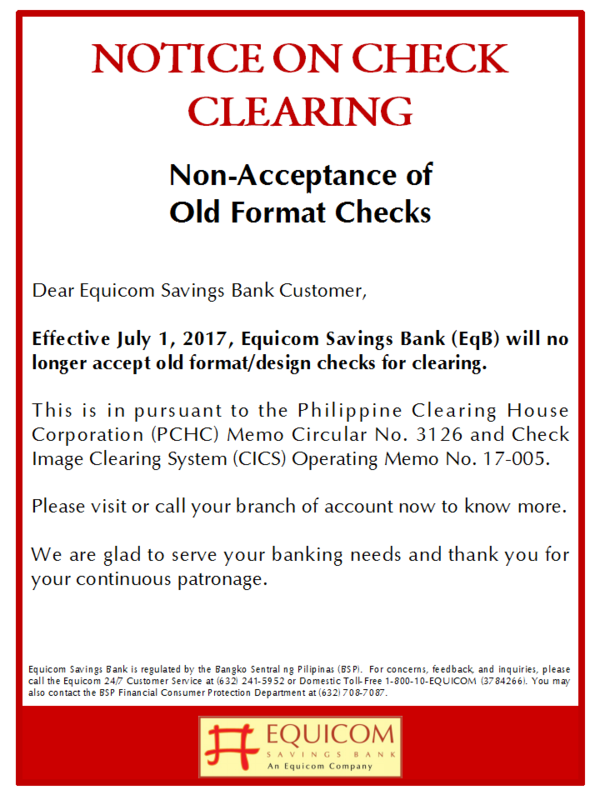 EqB’s encouraging national expansion in the face of the current global financial crisis is testament to the appeal of the bank’s customer-centered thrust to provide quality service to clients through substantial capital buildup and aggressive branch development. 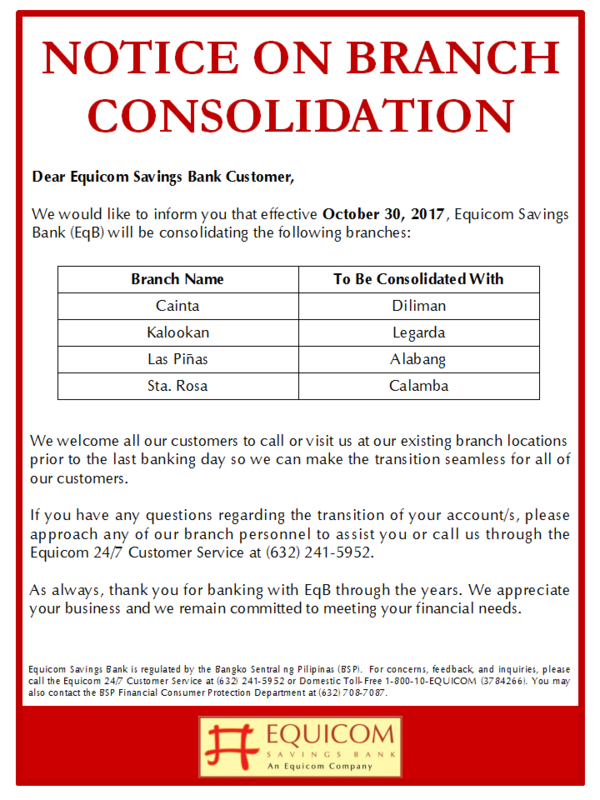 Serving the needs of EqB customers in 16 strategic locations are its branches in Kalookan, Cubao, Legarda, Valenzuela, Alabang, Las Piñas, Sta. 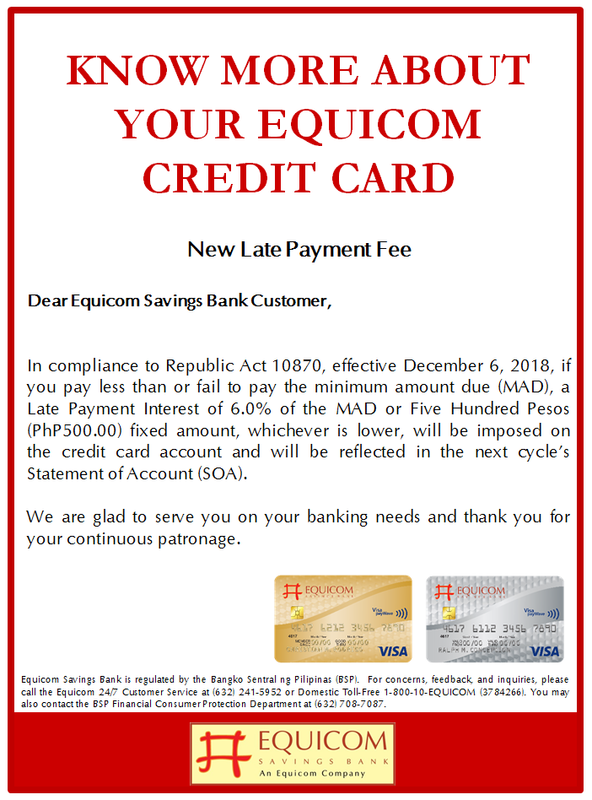 Rosa, Cainta, Calamba, Lipa, Cebu, Davao, Mandaue, Iloilo, San Fernando, Pampanga, as well as its main office in Salcedo St., Legaspi Village, Makati. 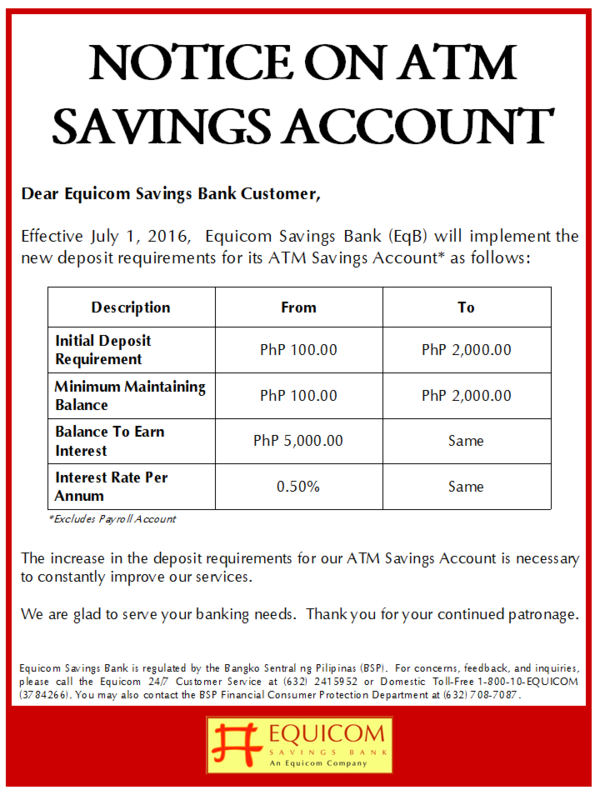 A seventeenth branch in Cagayan de Oro City is set to open its doors in October. 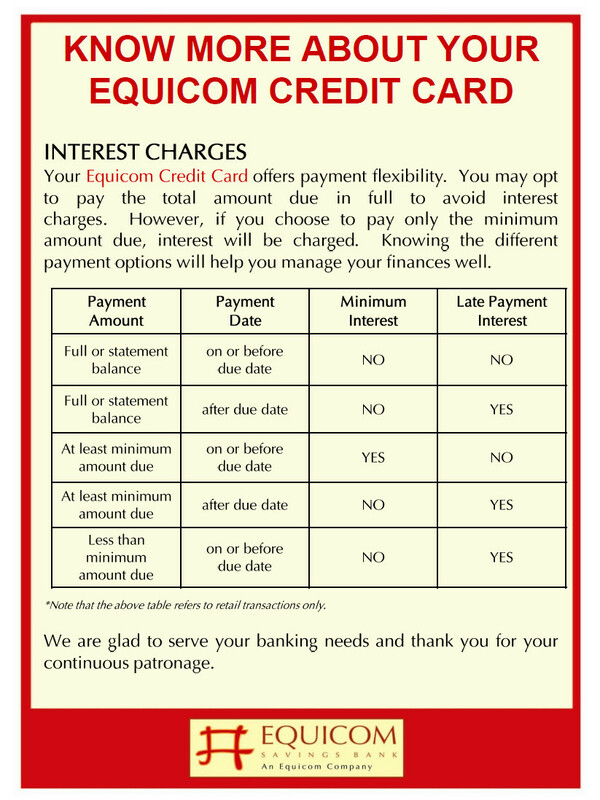 EqB has also devoted its year to creating various products and promos that answer the needs of individual and institutional clients. 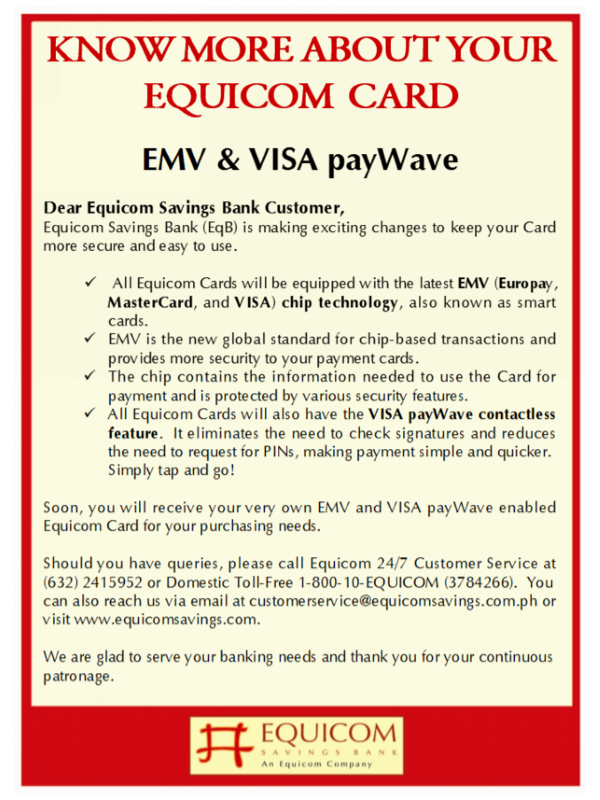 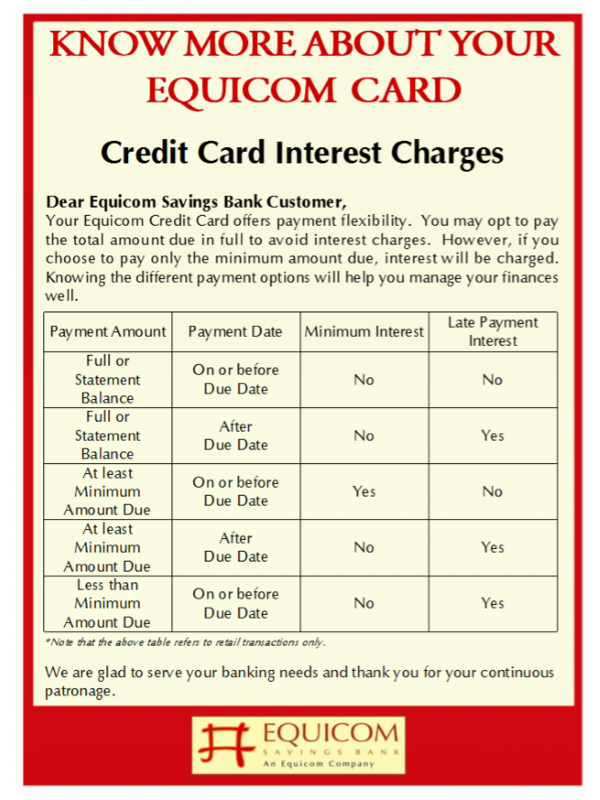 From its 0% Balance Transfer Promo for the Equicom Credit Card, to the new Equicom Gift Card, a non-personalized VISA prepaid card that can be used for purchases at all VISA establishments worldwide, and the EqB Payment Deals Program that allows clients to convert to easy and light installment rates for their purchases, these products give individual customers power over how they manage their money. 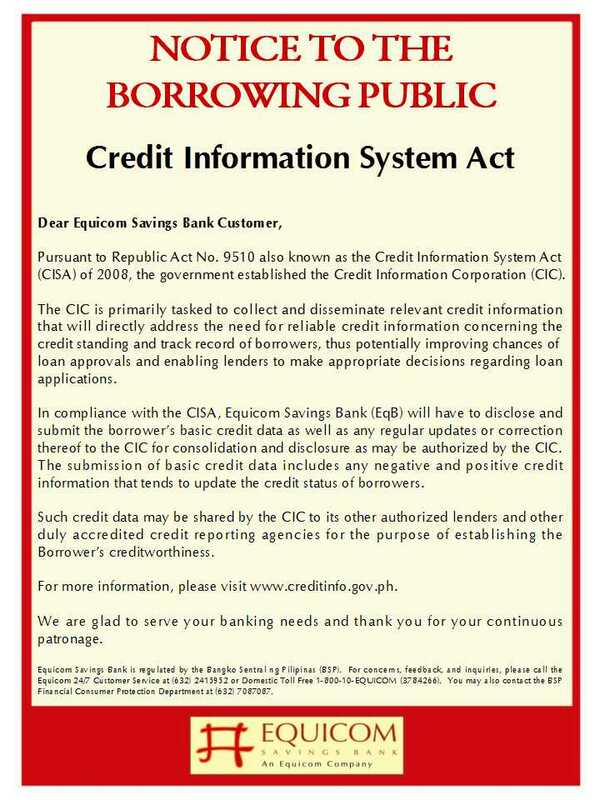 EqB has also developed institutional lending products for the Small and Medium Enterprise sector, with Revolving Credit Lines and Term Loans which the entrepreneurs can access for working capital and business expansion, equipment acquisition or factory construction. 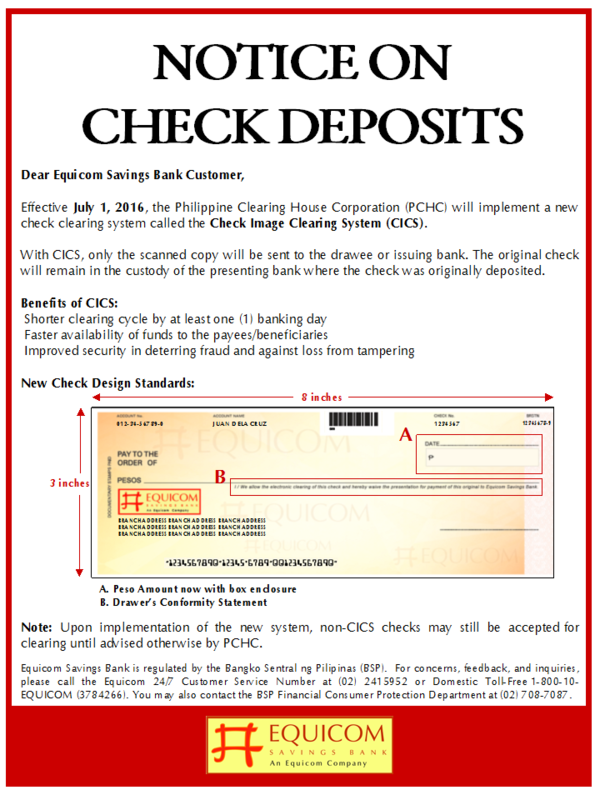 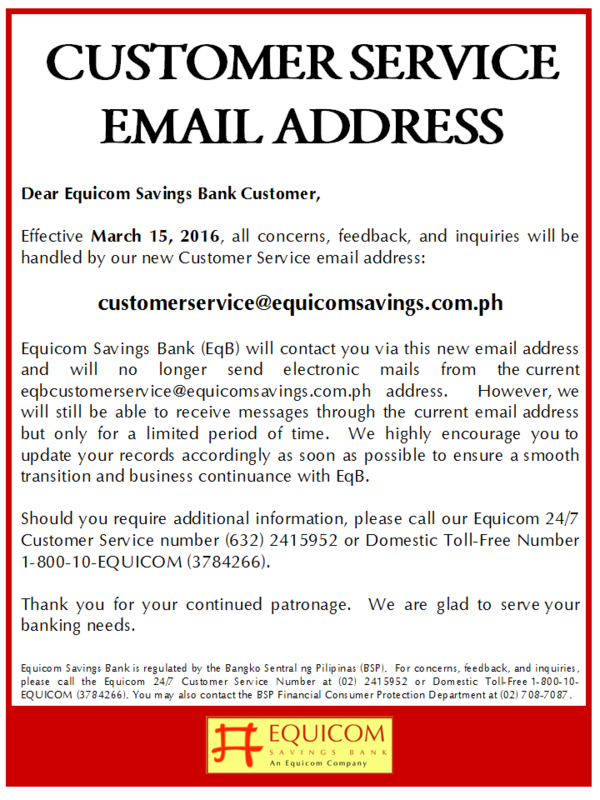 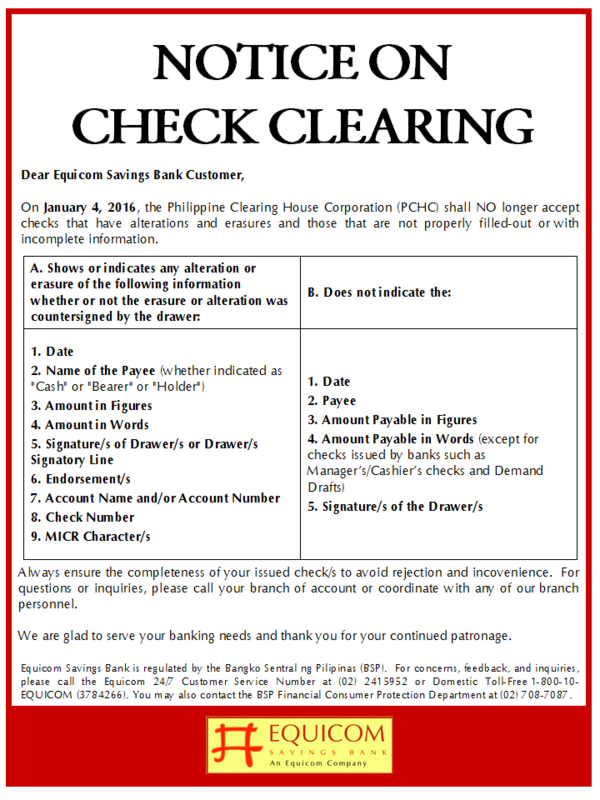 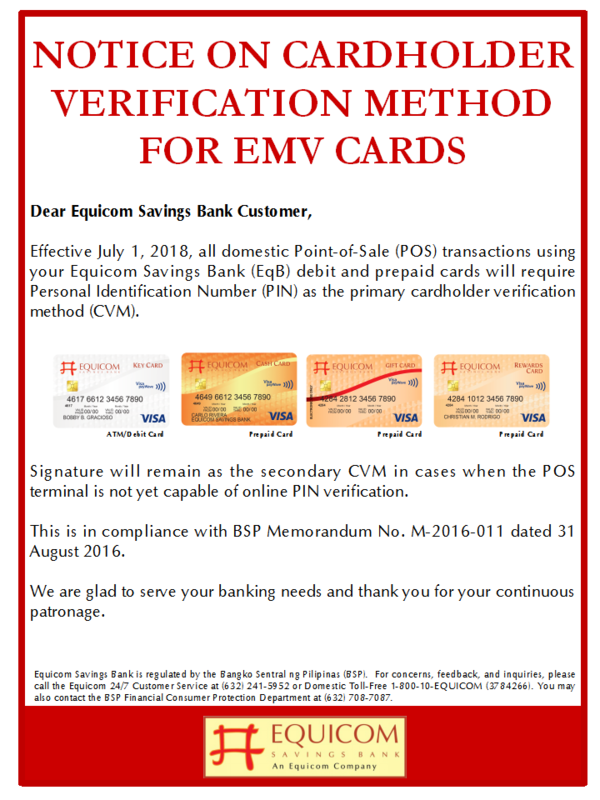 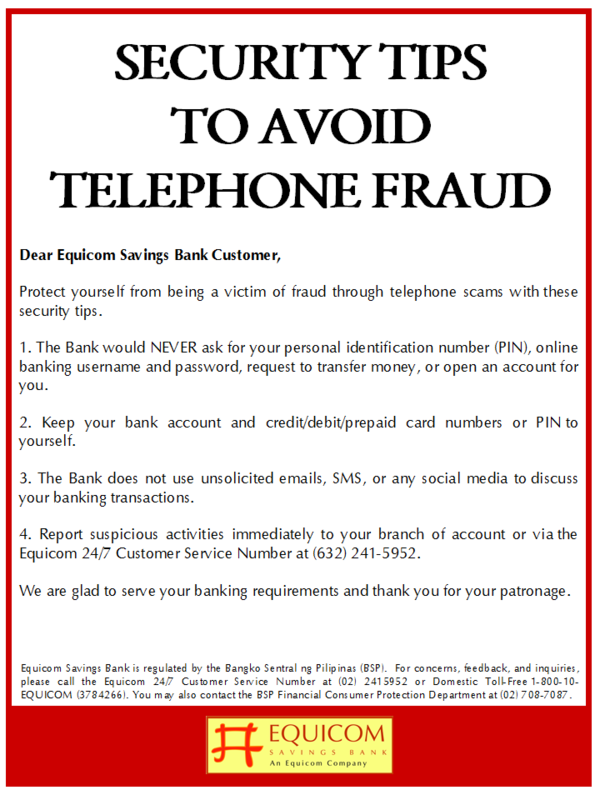 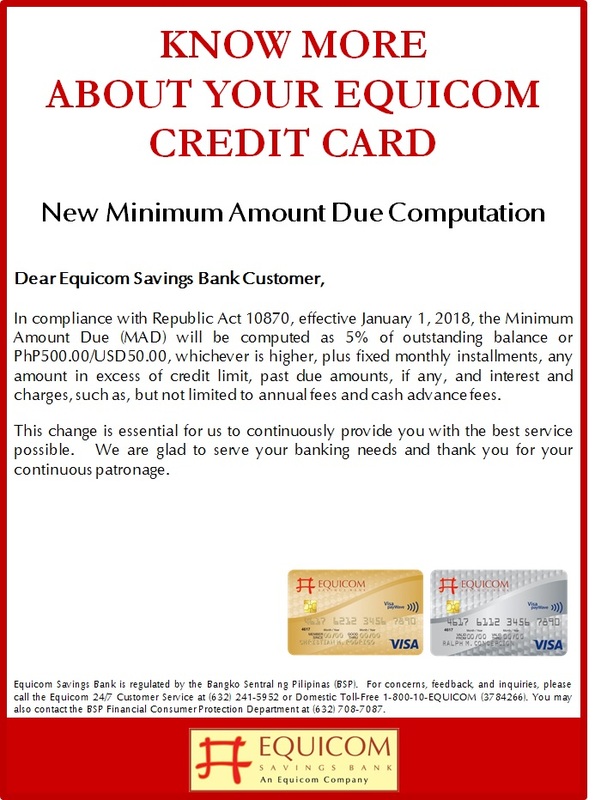 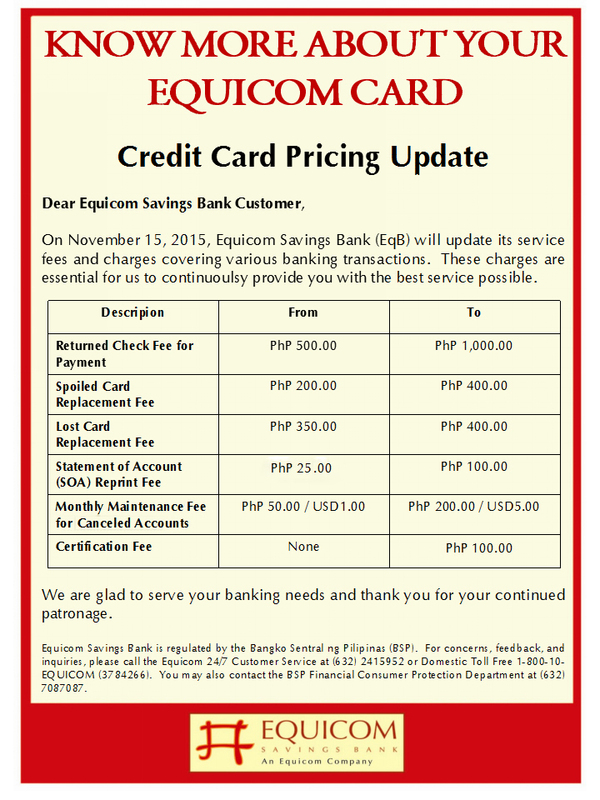 For inquiries and other information on EqB’s slate of savings and credit products, call Equicom Savings Bank’s 24-hour hotline (02)241-5952 or its toll-free hotline 1-800-10-EQUICOM. 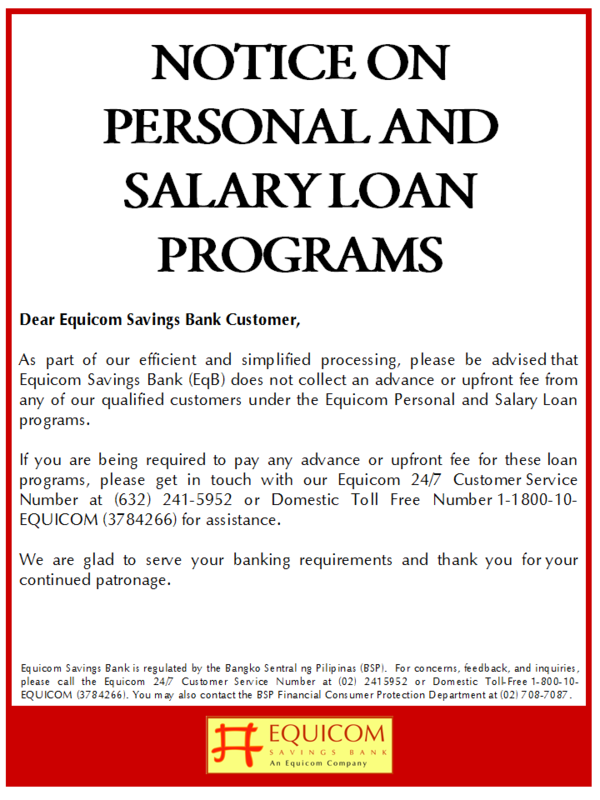 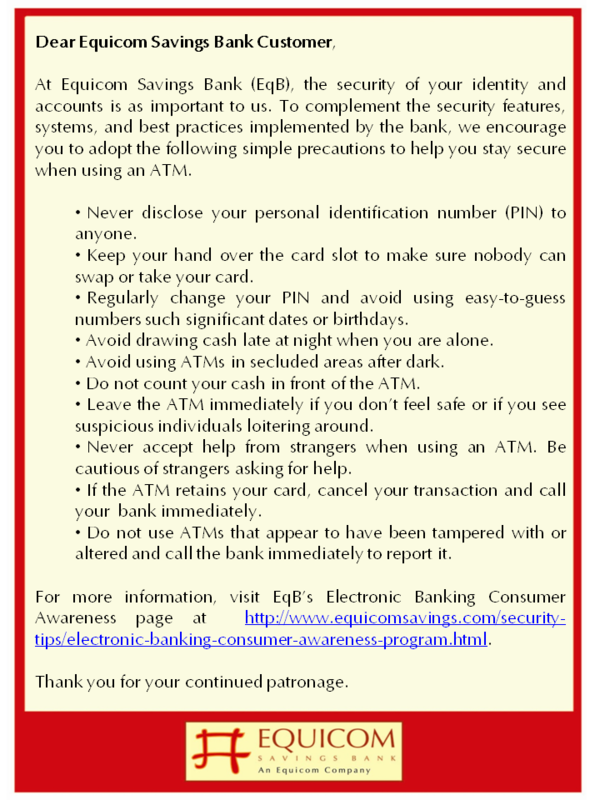 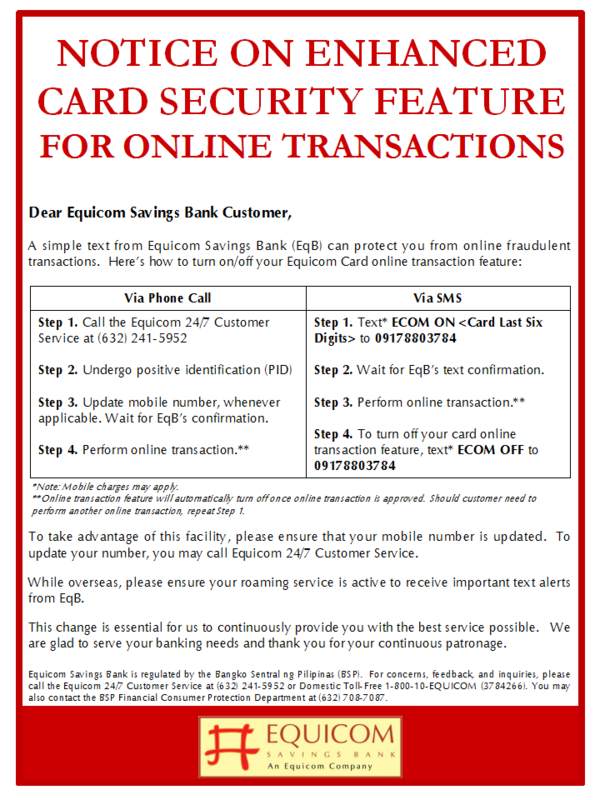 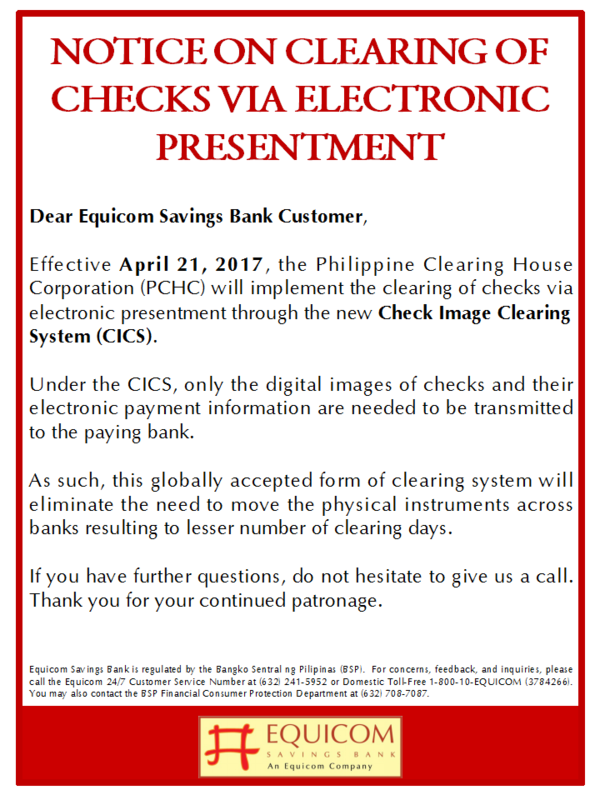 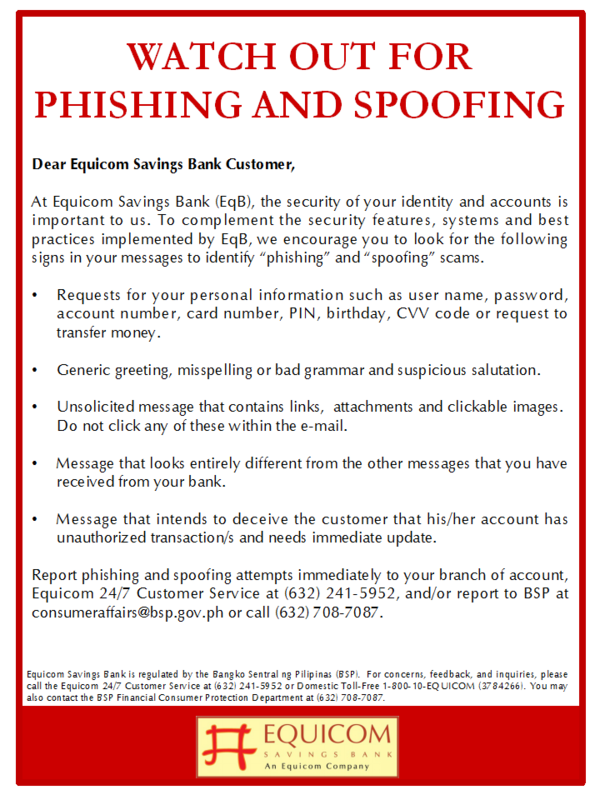 You may also visit the bank’s website www.equicomsavings.com.